Our underbridge work platform is ideal for inspections as well as repair works of any kind. The spacious platform enables the operator to carry out any sort of heavy- duty repair work underneath bridge decks. The unit is mounted on a truck chassis 3.5 ton G.V.W is specifically designed to enable quick and easy access to the underside of the bridge. 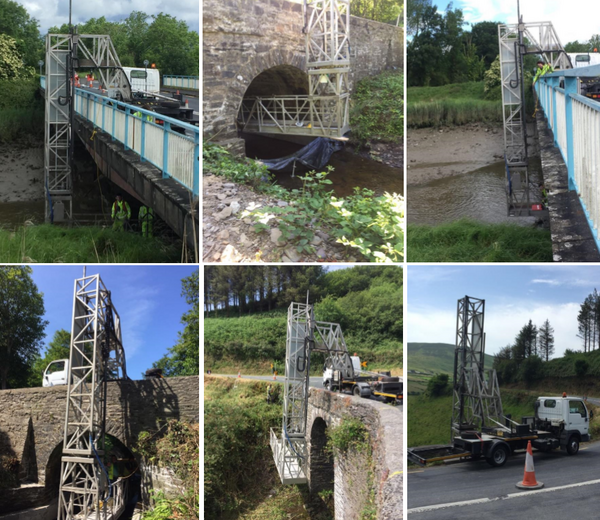 The underbridge unit machine replaces the need for expensive, time consuming scaffolding and gives you total flexibility and eliminates public restrictions. Thanks to its high versatility and high performance coupled with its low cost, the 60L is the ideal machine for both local/national road authorities and private contractors. 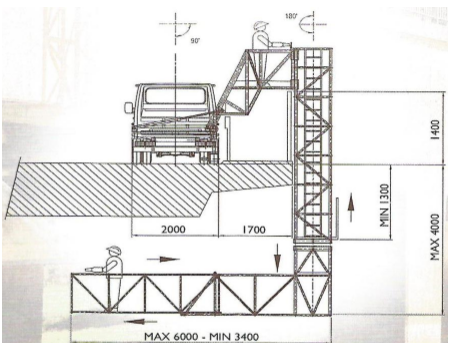 The underbridge access platform is for inspection and maintenance of road bridges, foot bridges, harbour walls & retaining walls, providing a safe, quick and economic system of access to those structures. Our access platform machine will take only a few minutes to deploy from the rest position to the operational position without personnel on board. Only after launching manoeuvres are over, operators are enabled to descend on board the platform through provided protected access and from here they can communicate with personnel on top of the bridge deck by mean of the intercom system. 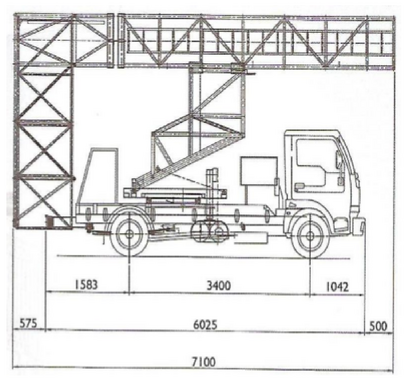 The transverse manoeuvre of the unit is forward and reverse on the bridge deck with the platform deployed underneath is commanded from the platform control station with consent of the driver in the cab.